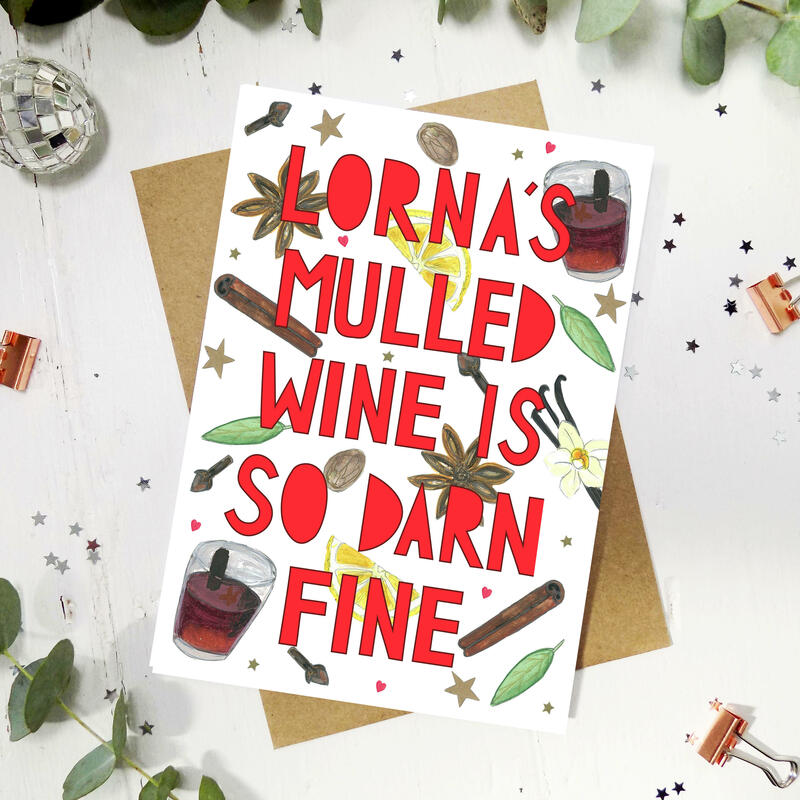 A flirty Mulled wine themed Christmas Card, perfect for giving to your family and friends in the festive season. 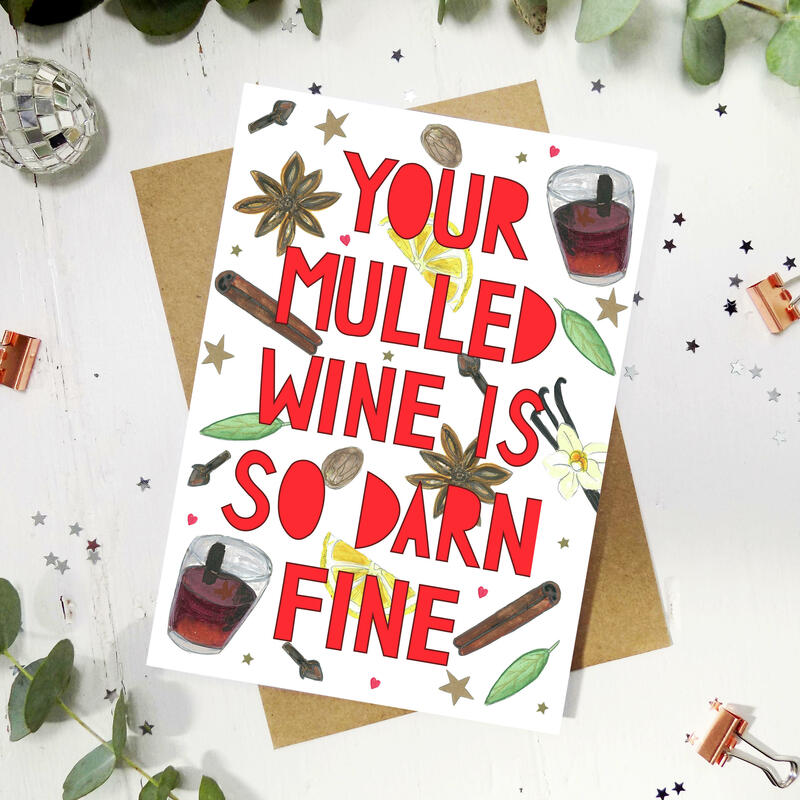 Can be personalised. Please note longer names will be scaled to size, meaning they may appear thinner.